This was the first post-conservation attempt at the study of the 7th-century B.C. 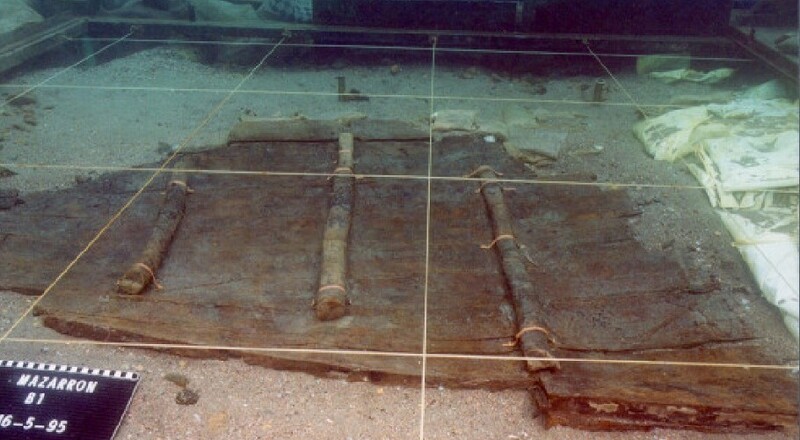 Phoenician Mazarrón 1 shipwreck, discovered in Mazarrón, Spain, in the late 1980s and excavated in the mid-1990s. The planks of the hull are joined with pegged mortises and tenons; the frames of the ship, however, are lashed. In addition, the edges of the planks are beveled and sewn. 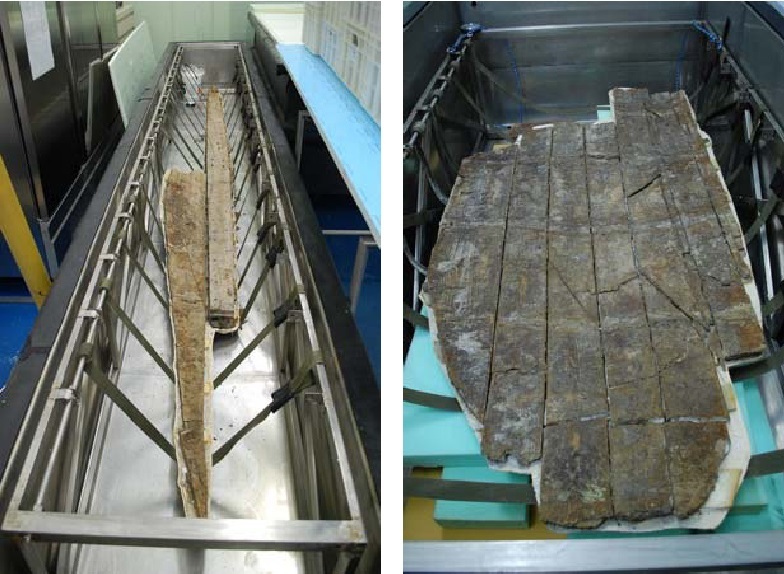 The Mazarrón 1 appears to be an extremely important transitional ship for the study and understanding of shipbuilding evolution in antiquity. This type of ship construction, which combines Phoenician and Greek traditions, has no known parallels. The research project was directed by INA Research Associate Carlos Cabrera Tejedor. ABOVE: The hull remains as they were in the museum after conservation (Photo: Tejedor).